I love everything about Amazon. You have created a world where I can sit on my couch, read War and Peace, listen to Lady GaGa and order toilet paper - all from the same company and now, with the Kindle Fire, from a single device. 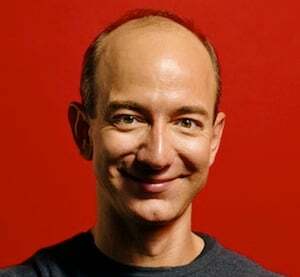 I have raved for months on Twitter, Google+ and on my podcast, Nekkid Tech that in a few years, Amazon will rule the world. The company I work for even sells virtual storage gateways that use Amazon Web Services on the backend. You have built a truly amazing company. So you can imagine the tears of joy that rolled down my face as I went to BestBuy to buy a Kindle Fire for myself and for each person on my Christmas list. For the first time in years, those on my Christmas list were going to get more than a gift card I purchased for them on Christmas Eve. 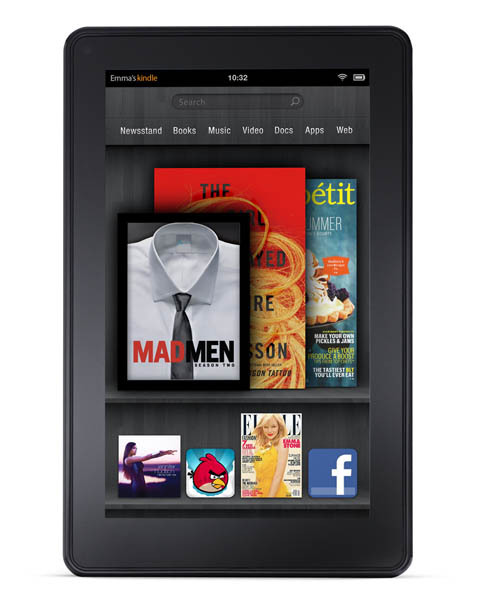 The Kindle Fire looked like everything your average consumer would need in a device: ease of use and access to everything Amazon –books, music, shopping, the internet and my favorite apps - in a beautiful user interface that was crazy simple to use. After my purchase, I quickly shared with the world that my Christmas shopping was done and I was all too eager to get home to start using my Kindle. It was as if Christmas had arrived on November 15th (the Kindle Fire's US shipping date) and the excitement brought me back to my childhood: I couldn’t wait to start using my Kindle Fire. As soon as I arrived home I ripped open my box to view my new Kindle Fire. So beautiful and so simple, there are no instructions, I simply powered it on and it walked me through the setup with complete ease. After the device updated itself, my next task was to set up my personal email … after all, I had to email everyone I knew that I was finally set-up with the Kindle Fire. Is this really the user experience you wanted to create? I realize the Kindle Fire has a generic email application but I wanted to use the enhanced functionality of the native Gmail app for Android. I quickly went to the Amazon App store to get the Gmail app for Android and was shocked that it wasn’t available. Like millions of other users, Google Apps (Gmail, Voice, Google+, etc.) are a core function of my online experience. The Yahoo Mail app is on the Amazon App Store (and for the ten users still on Yahoo this is a nice app) but there is no Gmail app. After some quick searches I discovered that it was easy to side-load applications that were not in the Amazon store so I was briefly relieved. As you are probably aware, you cannot side-load or run any Google app that requires a login on the Kindle Fire. That means no Gmail, Google+, Google Voice (I need to text my peeps) or Google Docs. I should have carefully researched the Amazon app store before I bought the Kindle Fire. I falsely assumed that since you built the Kindle Fire to run Google’s operating system, Google apps would not be a problem to run. Maybe there are strategic business reasons to block Google apps but if I could side-load and run the Nook app on the Kindle Fire, surely I’d be able to run an app like Gmail that was not competitive to Amazon. Other competitive services like Netflix and Hulu are directly available on the Amazon App Store. So, Jeff, I’m confused – why would you not include a family of apps that are broadly used by the same consumers of Amazon’s services? Since the Kindle Fire connects me to the internet as much as it connects me to Amazon, Google Apps are essential. You are much smarter than I am, but I can’t piece together the logic of alienating so many people like myself. Blocking access to Google Apps on the Kindle Fire seems wholly unnecessary. It’s also bad for the internet. What if Google decided to block the Amazon App Store or the Amazon Cloud Player from their market for some unknown reason? Do your users want access to their essential apps decided for them by Amazon? Is this really the user experience you wanted to create? Apple went through this briefly with Google Apps and we know how it turned out. I can’t say for certain this was a bad decision by Amazon since I don’t understand the logic behind blocking Google apps on the Kindle Fire. However, I do know that buying the Kindle Fire was a mistake as was my blind faith in the ecosystem Amazon has been creating. I want to like Amazon but not if my experience is going to be this over managed and constrained.